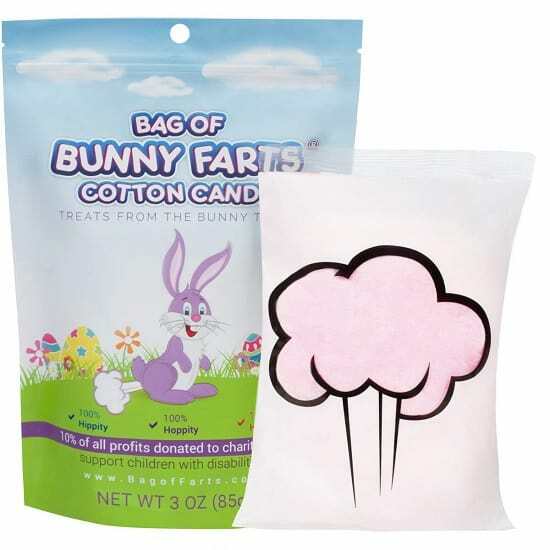 This Bag of Bunny Farts are the perfect Easter basket stuffer for everyone that loves something fun and interesting. Wearing a smile the Easter Bunny is presented with colorful eggs in the background. Children and adults will laugh over the hilarious gift idea of receiving farts for a present. Each bag contains a single serving size sealed bag of packed fruit punch pink cotton candy. The cotton candy is Made in the USA.